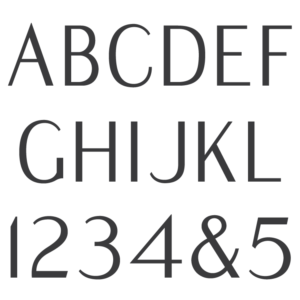 A Sans Serif Condensed Roman font. 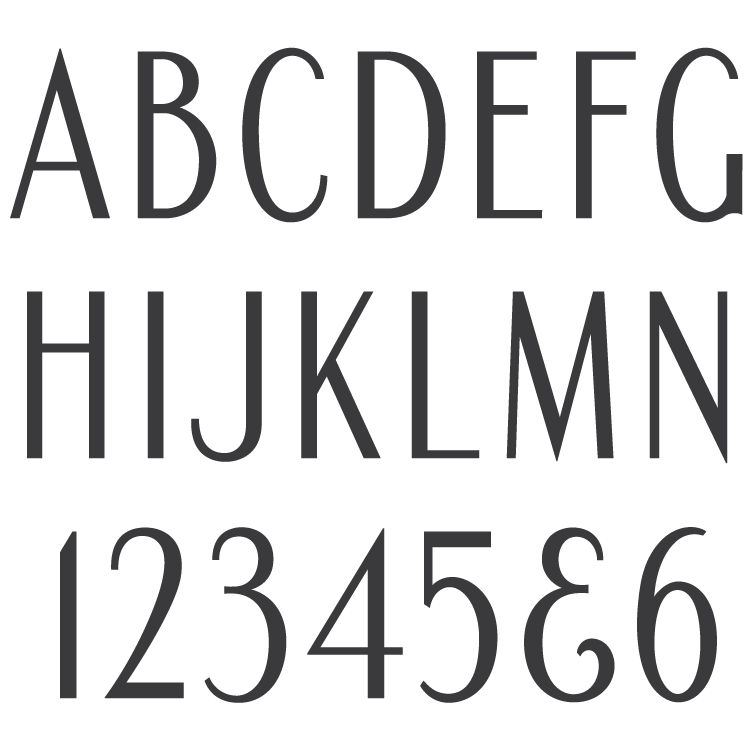 Signature Series Condensed Roman Sans font. The MLC Condensed Roman Sans Signature Series font shares the same geometry as the Spacerite Condensed Roman alphabet, but contains no serifs. 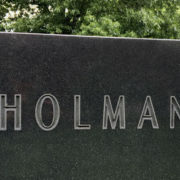 This style was common in the 1950s and 1960s, specifically on headstones created by Delano Granite Works and the Barre Guild of monument makers. 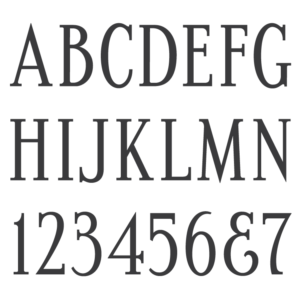 These manufacturers used the Spacerite letters as a starting point but clipped the serifs off of the letters and numbers to create a sans-serif variation in the sandblast stencil. 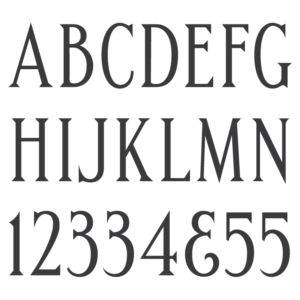 Three variations of ‘R’ are common to find in the cemetery, so the MLC has included them as alternates in software which supports OpenType features. 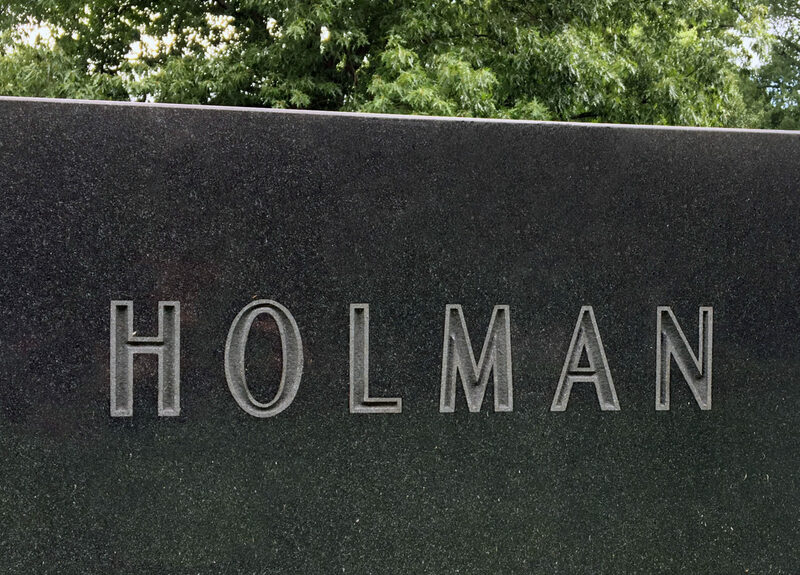 Though it will not match exactly, it may be close to other various Condensed Roman Sans Serif fonts available in some memorial design software.